Should arrive tomorrow, kind of excited. It arrived late last night. 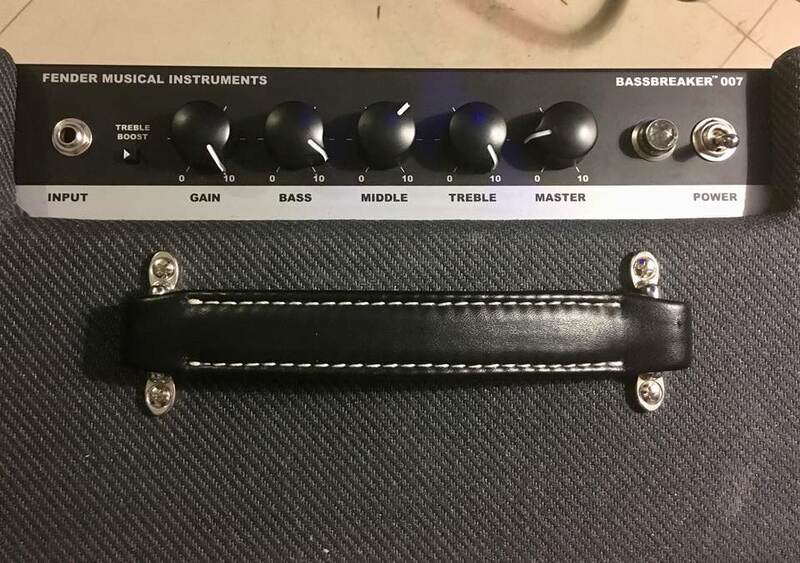 It doesn't matter what it says on the badge, this Fender does not sound like any other Fender when it's cranked. Very british, but with a variety. Low gain, it can do a passable vox, but crank it and you're heading to Marshall/Orange territory. Clean, it'll do a passable traditional Fender sound - not as glassy as my old Bronco amp, but very decent clean. Before buying it, I thought about swapping out the speaker, but I am completely happy with this amp as is. As a result, I went ahead and listed my little Hotone heads and my VHT cab on craigslist. Pics later.. I'm at work now. Also, this might be the best bedroom tube amp ever. It sounds great even at low volumes. Think the idea behind these was that they were supposed to be Marshally (Edit: see 17:20 ish in the vid). Funnily enough was watching a video about them this morning. 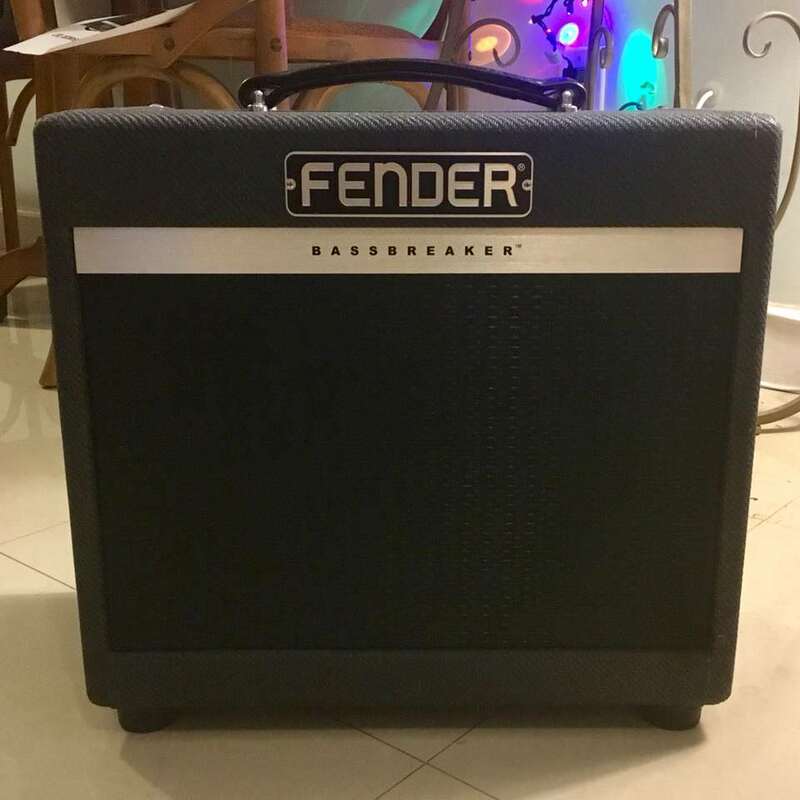 One of the blokes from Andertons was comparing the Bassbreaker 15 to a Blues Junior with some chap from Fender. I've wanted one of these for a long time (since I saw that andertons video actually), but I've not had a chance to really play one, so it's cool to see that they're actually just as good as I'd hoped. If you're ever in South Florida, you're welcome to come down and try it out. These are fantastic amps. I snagged a 15 a while back and I really love it's sound and flexibility.